Beautiful names for gorgeous pair. She is getting to be so big now. Perfect double portrait. Beautifully framed. Wonderful portraits in B&W! Both are so cute! A portrait of a little girl and a puppy, perfect. Doesn't get much sweeter than this. 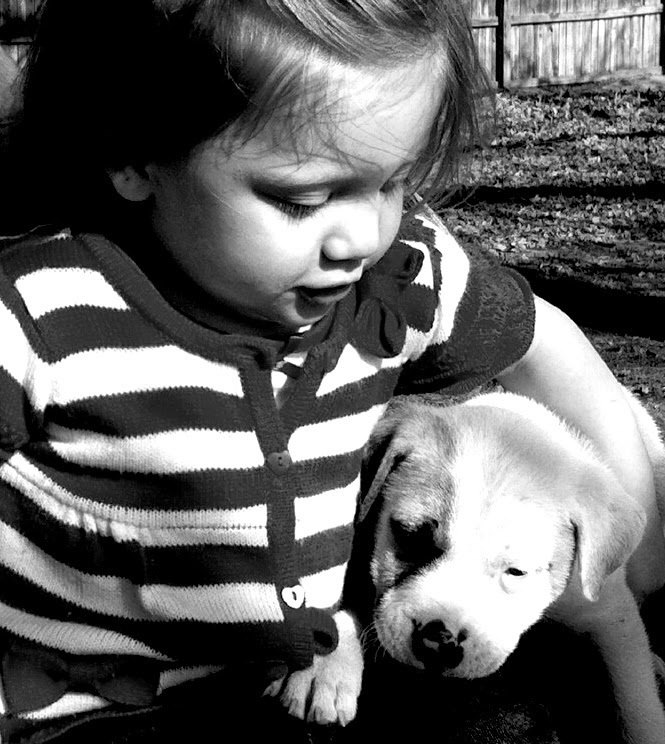 Kids and dogs are a timeless combination and the B&W makes it a timeless image. Excellent capture Bill. Can't miss with a child and a dog...wonderful image! Great BW shot ... they are both so cute! Wren is such a cutie! She's growing so fast!